This weekend’s build-up to the Grand Prix at Silverstone had British motorsport fans bursting with anticipation at the thought of a home victory for Lewis Hamilton. Unfortunately, for fans of the former world champion, their hopes imploded as fast as the rubber at the rear end of Hamilton’s Mercedes car. For the drivers, today’s race has raised serious questions about their safety, as Pirelli are once again at the centre of a media storm. Fives tyre punctures over one race weekend will fill nobody with confidence. However, the high drama made the entire race unmissable viewing. Hamilton was the unlucky first casualty of the exploding tyres, in what seems to have been the this Formula One season’s second instalment of Tyregate, after last month’s furore surrounding Pirelli’s tests conducted with Mercedes. Yet another missed opportunity for Hamilton to record his first victory of this season will be difficult to take in. The pace of his teammate Nico Rosberg, which was enough to record his second pole position of 2013, would have rubbed salt into Hamilton’s deepening wound. For the pre-race favourite, it appeared that he had been the unlucky driver on the day until several other drivers followed suit. Once Felipe Massa’s left rear tyre disintegrated into debris, the race rapidly became a worrying game of russian roulette. “Avoid the kerbs at all costs”, was the order from team principals. That didn’t stop Jean-Eric Vergne from suffering a similar fate. Yet, amongst the dispersed rubber that had spread around the circuit, the racing became more and more fierce. 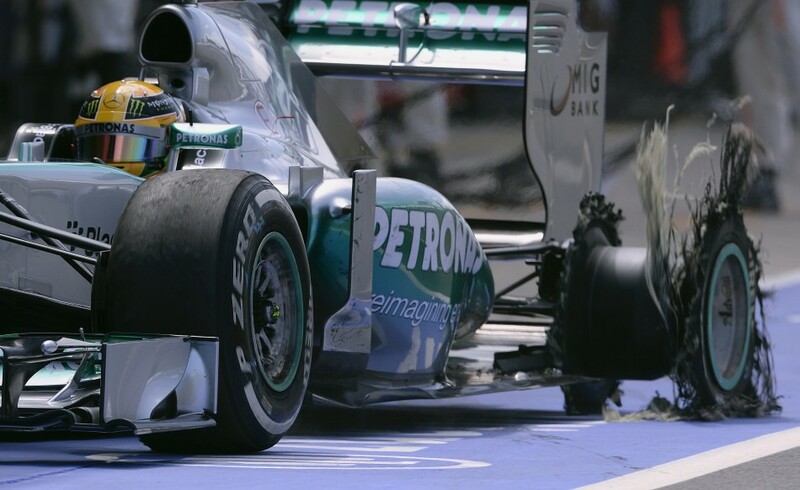 Hamilton fought his way from the back to reach fourth position in a typically aggressive display of overtaking. After Red Bull’s Sebastian Vettel was forced to retire from the race, due to a gearbox failure, his teammate Mark Webber had the opportunity to fly the flag for his team. In his final British Grand Prix performance before his impending retirement, the Australian pulled out all the stops. 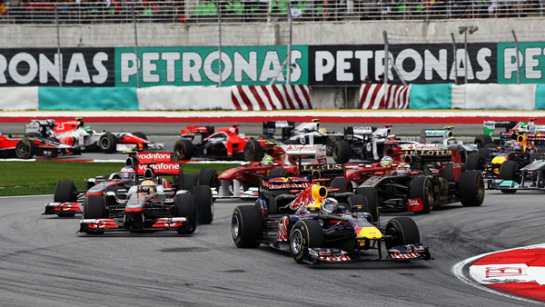 After dropping back to 15th place, he came back to take second place, pushing Rosberg all the way to the finish line. In the post-race reaction, Rosberg’s win has become a sub-plot to the main headlines surrounding what we’ll now call Tyregate part II. He may have been the lucky counterpart to his Mercedes colleague on Sunday but to grab victory amongst the chaos and debris showed that Rosberg is yet another German driver who is a force to be reckoned with. Great review of this brilliant race! I usually watch F1 whilst listening music and this gave me all the info I missed. A pity to hear about Webber’s retirement though. Thanks Dimi, it was a great race to watch. I’ve got Spa-Francorchamps to look out for! I bet it must be magical at Silverstone as well! Thanks Ray. Yes, slight mistake there. Got carried away amongst the controversy of the exploding tyres! Well I’ll be keeping tabs on the Formula One and the men’s tennis final at Wimbledon today. So we shall see how they both pan out! A great day for sport.